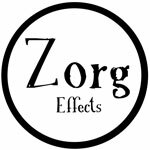 Where can you try Zorg's pedals? Unfortunately there's not a lot of place where you can try Zorg's pedals. The best place to check them (and meet their master builder) would be to visit one of the music shows I attend during the year. Then a few of my pedals can be found at Barbe Guitares music workshop in Toulouse, France. If you're near Paris you may try some of my pedals at The guitar channel intergalactic showroom, but you'd have to mail me to organize a visit there. And at last, if you're in the area of Toulouse, just mail me and we can setup a meeting in Zorg's giant factory. Zorg effects handcrafts effects pedals one by one in Toulouse, France. Only PCB production is sub-contracted. Everything else is drilled, soldered, mounted, crafted and tested by Zorg himself.